Creative technology agency Inition has collaborated with Google to create a digital experience that promotes the launch of Kingsman: The Secret Service and e-tailer Mr Porter's new menswear collection. Available to experience until 6 February at Vue cinema in Westfield London, the activation has been designed to immerse cinema-goers directly into scenes from the Colin Firth film. Inition used a customer-built green screen and a bullet time camera rig to shoot 16 simultaneous images of a model striking a pose wearing clothes from the Mr Porter x Kingsman Collection. When a participant enters the experience and aligns themselves with the on-screen markers, the rig captures their image, virtually dresses them head-to-toe in the new collection and transports them into one of three key scenes of the film. The footage is converted into an animated file that guests can share on social media or save via email. 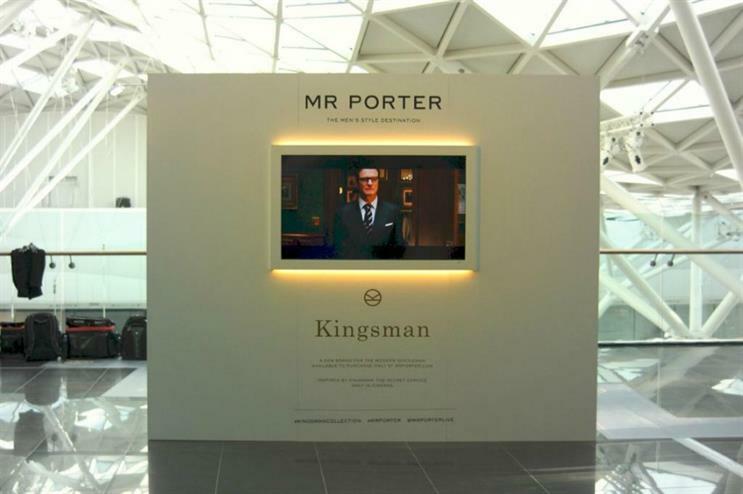 Stuart Cupit, technical director and co-founder of Inition, said: "Inition’s pod technology enables people to take away a shareable, three-dimensional scene from the movie with themselves in the starring role, wearing some key pieces from the new Mr Porter x Kingsman collection. "This is the first time we have seen bullet time rigs combined with real-time foreground and background compositing to produce a truly memorable experience."